Since 2012, Angel Bomb has been creating letterpress artist books and has published three to date. Two have received funding assistance through artist grants including a Jerome Book Arts Grant from the MN Center for Book Arts for The Airship and an Artist Initiative Grant from the MN State Arts Board for American Manifesto. I feel honored to have received these as it shows strong support from the arts community and belief in my work. 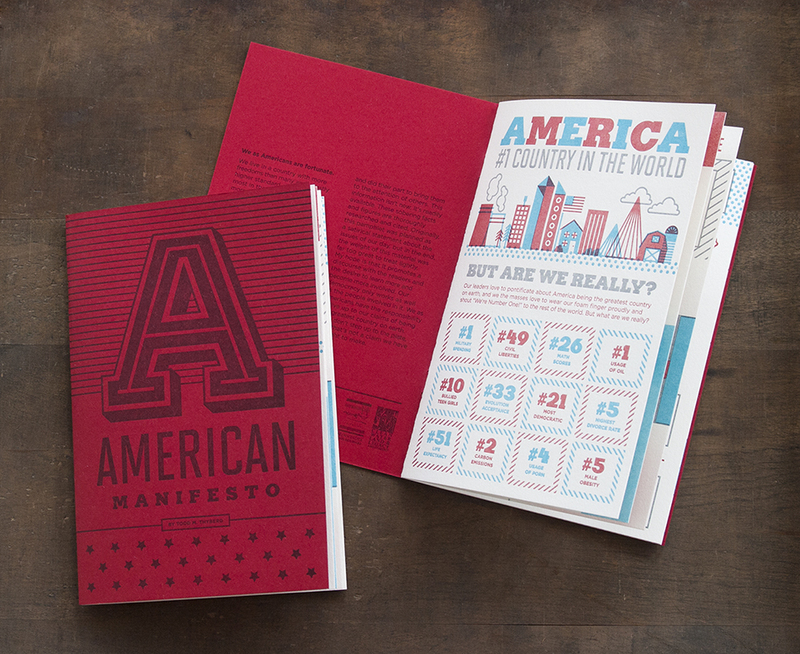 American Manifesto was also the recipient of a MN AIGA Design Award in 2014. This book, inspired by the cosmic horror of H.P. Lovecraft and set in the mythos he created, is about an expedition from Miskatonic University to the Tunguska region of Siberia in 1907. The party finds way more than they bargain for and it begins to effect them in ways they don’t fully grasp. This is our largest and most ambitious book to date! It will feature over 50 different letterpress pieces including a handwritten journal, several drawings, telegrams, letters and even a resin cast artifact; all aged and weathered to appear 100 years old. Watch for updates and photographs of the work in progress as well as processes used to make it. Click below for more! The Airship is a science fiction story and first in a trilogy of digitally enhanced letterpress graphic novels. It draws a literary analogy between the dichotomy of using modern day digital design tools to create works that are produced on vintage analog equipment. In this story, set in a fictional past, one of the characters is transported to another dimension in space and time. It utilizes aspects of multiverse theory in a fictional setting to explain a portion of the storyline. With a tip of the hat to printers and activists of the past, American Manifesto calls the United States citizens to action on a number of national concerns—our country’s health, leadership, and environment, to name a few. This book was devised as a piece of activist artwork; utilizing my vintage presses as they were originally intended: to make important information readily accessible to the masses. This piece took nearly nine months to research and fact check. A retelling of the classic tale, Frankenstein. This artful mini-book was created to vend from a vintage cigarette machine. A unique format was chosen to engage viewers with an analog machine from our past that many of a younger generation have never seen. My goal with the Vend-O-Mat is to eventually share its many vending slots with other artists to have an interesting and unique selection of art available for people to interact with and purchase.